It seems like school just barely got into full swing when the letters arrive. The letters are documents of my daughter’s IEP from last year and what the school wants to address this year. Instead of dreading them like most parents, I look forward to it. For years, our daughter struggled in school until we learned she has Pervasive Sensory Disorder with Inattentive Attention Disorder and Aspergers. While the labels above included the word disorder–I saw her as a late bloomer and a different learner. To me, Cheyenne can be just as well educated as the rest of her peers, but the key to helping her learn is understanding how she learns and that’s where the IEP comes in. It is your chance to do battle for your child at school to help her have the best education possible. 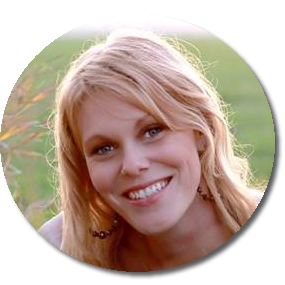 We are blessed to have an entire team of teachers whom are excellent in following procedures of an IEP in the state of Nebraska who do not lose sight of who Cheyenne is. 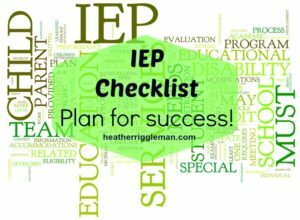 When we first started IEP’s, I wished I had this checklist, so pin it to your Pinterest boards. 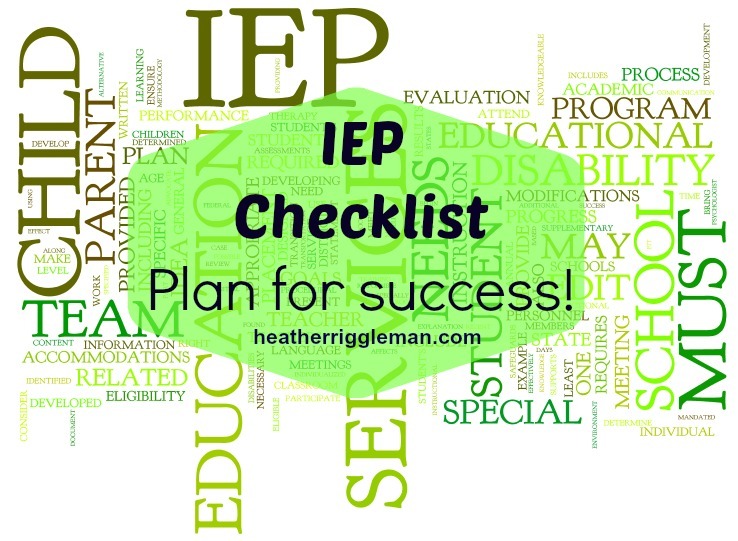 Below is a checklist of what you need to do BEFORE – DURING – AFTER your child’s IEP. And here are a few of my favorite “helps” when I prepare for IEP’s. 1. IEP Checklist for Parents — National Center for Learning Disabilities. (Click here for a printable checklist). If you’re a paper person, you will love this checklist, it helps you objectively think about what you need to accomplish. The Teacher App & Gradebook is great for staying connected with your child’s school, all of her teachers, and monitoring progress, assigments, etc. What Did We Do Today (WDWDT) It’s a messaging service desgined for teachers to stay connected online and offline to his students. It also keeps parents informed in real time of what is happening through out the day. Teachers use thismobile app and website to create quick short form messages in categories like Homework, Reminders, Surveys, Meeting Requests and more. Parents and Students get their messages from the app, website, email, push notification or even text message if they prefer. It’s private, two-way, direct and ensures that everyone stays informed. Your child’s school should send you documents containing last year’s IEP and the request of your presence for the next IEP. If not, request these documents and confirm a time to have the IEP. Gather your documents and compare to what the school sends. Request all documents in your child’s file. I generally request the entire educational file. Write down your child’s strengths. What changes have you seen in her this year compared to last year? Make a list of these changes and challenges and send it to your child’s team. 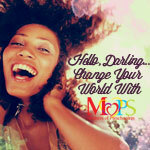 This will help them create goals and meet the needs your child has. For example, this year Cheyenne will be taking art year round because it helps her express her emotions. Know what you want in terms of placement, services and goals and why you want each item and what objective and subjective data/information supports what you want. Pray before going into the meeting. Ask for God to show the path marked for your child. During the IEP meeting, maintain a positive attitude. Take a leadership role in the meeting. Always remember that IEP Meetings are BUSINESS MEETINGS. Maintain a calm attitude and PRAY your team understands your childs disability and are willing to listen and think outside the box. If during the IEP meeting, someone states they want to make changes to the IEP in your child’s favor, concisely repeat what was stated and request that the other person’s statement be reflected in the IEP notes. If someone makes a statement during the IEP meeting that you do not understand (e.g., is confusing); ask for clarity. Ask questions during the IEP meeting (for example, how many times did you observe my child and for how long). If during the IEP meeting, someone states something different from you want stated , acknowledge the “opposing” statement and state why you disagree. Use examples if needed. Discuss how much progress has been made on goals from the last IEP, which goals will need to be continued, and which will need to be modified. Ask for specific examples of how progress has been measured on the current IEP. Review the IEP before leaving the IEP meeting, making certain that key concerns and statements have been reflected in the IEP notes. Remember the school district is generally only responsible for what’s written in the IEP, so make sure it says what is agreed to and get a copy before you leave. Generally, do not sign the IEP until you have had time to review it at home (treat the IEP as if it is a binding contract). Remember, the power to say No! You can disagree as to all educational offerings within an IEP or agree in part and disagree in part. With very few exceptions, the school district cannot change your child’s current educational program without your consent. Ask for a copy of the IEP and send back a copy with corrections you feel need to be made. Request a copy for your records. Share a copy of your child’s IEP with the appropriate health professionals. Follow up on any lingering questions and document any changes you feel needs to be made.Moniter your child’s progress and note if the changes have been beneficial or not. Sometimes, it’s trial and error. Remember you can ask for a review of your child’s IEP at any time of the school year, especially if you feel new changes are not meeting your child’s needs.